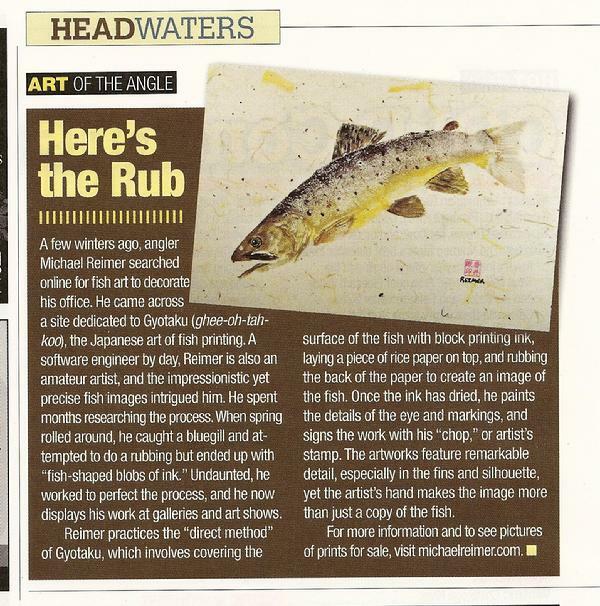 American Angler: An little article about me and one of my recent rubbings (a brown trout) appeared in the March/April 2010 issue of American Angler magazine, page 16. Article reprinted with permission from American Angler. 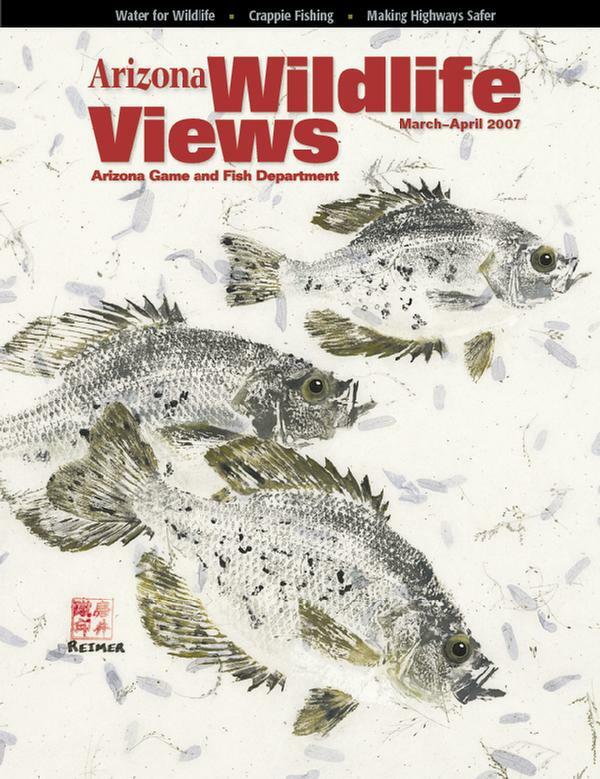 Arizona Wildlife Views: I was commissioned to create a vertical piece with multiple black crappie for the cover of Arizona Wildlife Views. The piece was custom since they needed room at the top to include the magazine title. I created three separate pieces for them and they picked the one that fit their needs. Click on the thumbnail on the right to see a better image. Field and Stream: I was interviewed for an article in the July 2007 Field and Stream. The author, Dave Hartung, wrote a 'how to' article about fish printing after I had given him some instruction. A picture with two of my original gyotaku appears with the article. Article reprinted with permission from Field and Stream. 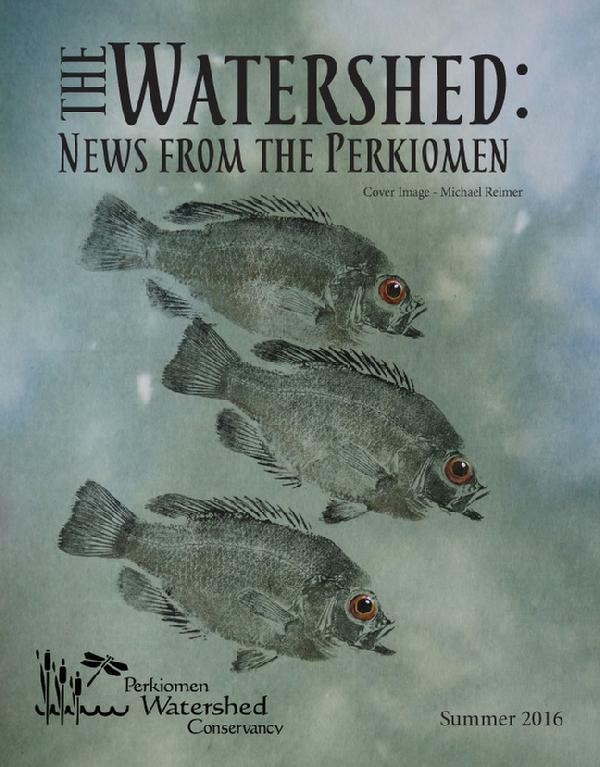 July 2007 Field and Stream article "Print That Fish"